Home > > Movies/Drama > > Ghost in the Shell 2 Innocence : Philosophical story ever!! 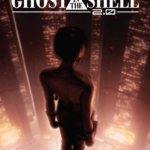 Ghost in the Shell 2 Innocence : Philosophical story ever!! Since Motoko Kusanagi has been missing, 4 years have passed. This is the year 2032. Although she has been missing for 4 years, there are many jobs to get done at Public Security Section 9. The cyborgs which are a type of girl suddenly went out of control and killed the owners of these cyborgs. They immediately and doubtfully settled the negotiation between the family of the deceased and the company which manufactures these cyborgs. On top of that, one of the victims is connected to the politicians and ex-security police so the Public Security Section 9 is in charge of this case to investigate what is happening. The member of Public Security Section 9, Batou and his buddy, Togusa go out to try to get a clue of this mysterious case and get involved in the troubles. Will they be able to reveal what is happening without Motoko Kusanagi? Where has Motoko been? Batou – This time, he is the main character in this movie. He is a member of Public Security Section 9. He is a cyborg but comparing to Motoko, his body is not that cyborg. He is a hard-boiled person who is strict to his student when he is a tutor for combat drill but sometimes, he is a comical guy. 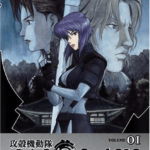 Motoko Kusanagi – She has been missing for a long time on this movie. She is practically the leader of Public Security Section 9. When she was young, except for her brain and her spinal cord, she became a cyborg. She is the type of person who has skills of judgment, leadership, physical ability and hacking ability. She has a calm personality and gets her job done with her way. Daisuke Aramaki (Old man with bold head) – He is a member of Public Security Section 9 and section chief. He used to work at Defense Intelligence Headquarters. He is good at dealing with the crime of politics. He is a type of person who is humble and has respect from the people around him. Togusa (Blond hair) – He is a member of Public Security Section 9. He used to be a detective but Motoko scouted him to the Public Security Section 9. He is good at information-gathering, guessing and feeling his intuition since he used to be a detective. But he sometimes gets emotional. He is the only one who has a family in this Public Security Section 9. Ishikawa (Bearded man) – He is a member of Public Security Section 9. He used to be in the Army. He is good at analyzing information and investigating with his electric brain. Saito (Below Ishikawa) – He is the member of Public Security Section 9. He used to be in the Navy. He is an excellent sniper. He has a special left eye that enables him to be good at long range shooting. Paz (Far left) – He is a member of Public Security Section 9. He is the military police who is an undercover. He is good at deceiving and using a knife. He used to be a military police officer but he joined in Public Security Section 9 to use his ability. Borma (Shaved head man) – He is a member of Public Security Section 9. He used to be in the Army. He has an artificial eye. He has the knowledge of bombs and is good at fighting with his electric brain. If you are searching Action Figure, Plush doll and more, here is the links of my favorite shops! This movie will choose the people to watch. The first version of Ghost in the Shell is so too but it is more philosophical way on this movie. The reason why so is because the characters use the phrases of the great men in the world! I sometimes couldn’t understand what they are talking about. Those sentences make people get confused. My advice is just to ignore when you can’t understand their conversations. There is no point to try to understand what they say and not being able to enjoy watching without feeling the stress. The story of this movie is so simple and easy to understand what is going on so we should watch it stress-free. Unfortunately, this movie doesn’t have twists and turns like the first version of Ghost in the Shell. This is my opinion but if you guys like to watch and hear the philosophical conversations, definitely you will be able to enjoy watching. Therefore, if you watch it over and over, you will be able to understand more and more. But except for what I said above, as usual, this movie is great. I just love the worldview of this movie itself so I love watching this movie. I wished I could be in there. @^-^@ The graphic is good and camera angle and moves are very realistic. The music matches with the graphic and story so those will attract you to the world of Ghost in the Shell. By the way, this director, Mamoru Oshii has his own world to his works. His movies have always pros and cons because the way he makes. His style split two sides. It is up to what you feel but he tends to make difficult movies that are hard to understand at the first time. Probably, I don’t have a good brain lol but I like the way he makes movies because he definitely doesn’t aim at making money. He makes the way he wants and it is like telling us that catch up with him. This is cool about him. But this time, the story is a little bit weak and overcome by what he wants to say on the movie. What is the difference between a human being and cyborg? What is the definition of human being? I think this is a theme of this movie but I have started to not be able to understand! It gets me confused so much! His movie gives me too much information at the same time. I couldn’t read those theme through this story well. I’m pretty sure that you will be able to understand it better! What I can say is at least bottom line, this is still a great movie! It might choose people to like this movie but I think you should try to watch it. At least, try! It is a deep world that you never imagine before! 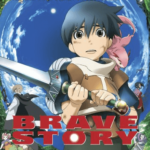 It is one of the most famous anime movies in this world! If you are an otaku for anime, go for it! 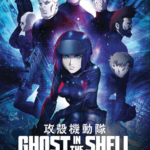 Anime Movie, Ghost in the Shell. Bookmark. Ghost in the Shell Arise Series : How they used to be! 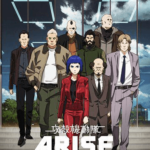 Ghost in the Shell The New Movie : The last Arise series! 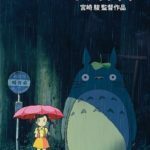 Castle in the Sky : The fame of Ghibli has begun from this! I'm Mishi. My passion towards Japan got me to create this blog. As I learn Japanese culture, I want to share the world of Japan with you! Are you trying to buy Futon? This is what you have to know! Let’s learn Japanese culture! Shinto anime top 10! The basic guideline of knowing Japanese zodiac! What is the meaning of Japanese Omikuji? Bakuon!! : The cute girls are on the Japanese motorbikes! 20 unique Japanese bridges that you want to see in Japan! Japanese 50 foods that you should know! Traditional Japanese heated table “Kotatsu” is best! My best musical anime that makes you want to sing top 10!